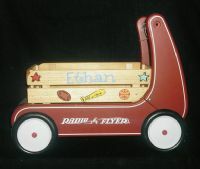 Remember the good ole days of the radio flyer? Sides can come off. Makes a great 1st Birthday gift too!